With each passing year, science is advancing but there are still some things that science could never explain nor will ever be able to. No matter what gadgets we use and how much the technology advances, some things are still mysteries. Everyone love mysteries, isn’t it? But these 10 mysteries date back to many years and it is nearly impossible to find the truth now. Historians and archaeologist tried to explain the truth behind a few of these but could not. Let us have a look. Peru, home to many ancient wonders, and one of them and most mysterious one is Saksaywaman. It is located in Cuzco and is an architectural delight. It was built in the 11th century and it is hard to believe that such engineering technologies existed at that time. A thin sheet of paper cannot be passed through the space between its boulders. The ancient Inca people used what technology that nobody could find but some scientists surely believe that they used some concoction made from plants or may have used the heat from the sun with mirrors to soften and melt the stones. This is a structure that was built almost 11000 years ago. 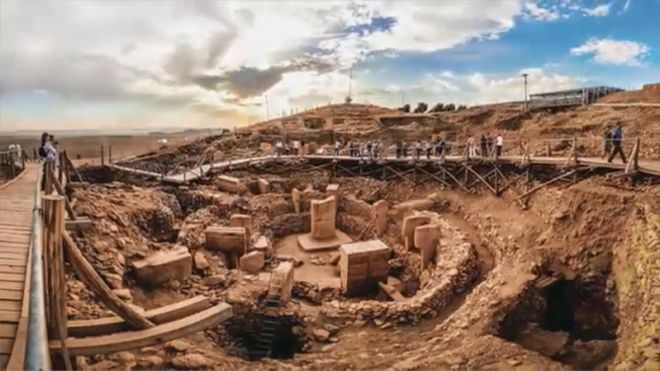 This mysterious structure was dug up and is assumed to be built around Stone Age. This is believed to be the first temple that was ever built by the mankind. There is remarkable carvings at the excavation site of ancient animals and people and has decorated pillars. The civilizations at that time had no metallic tools with them but this temple certainly reflects the evolution of human race.